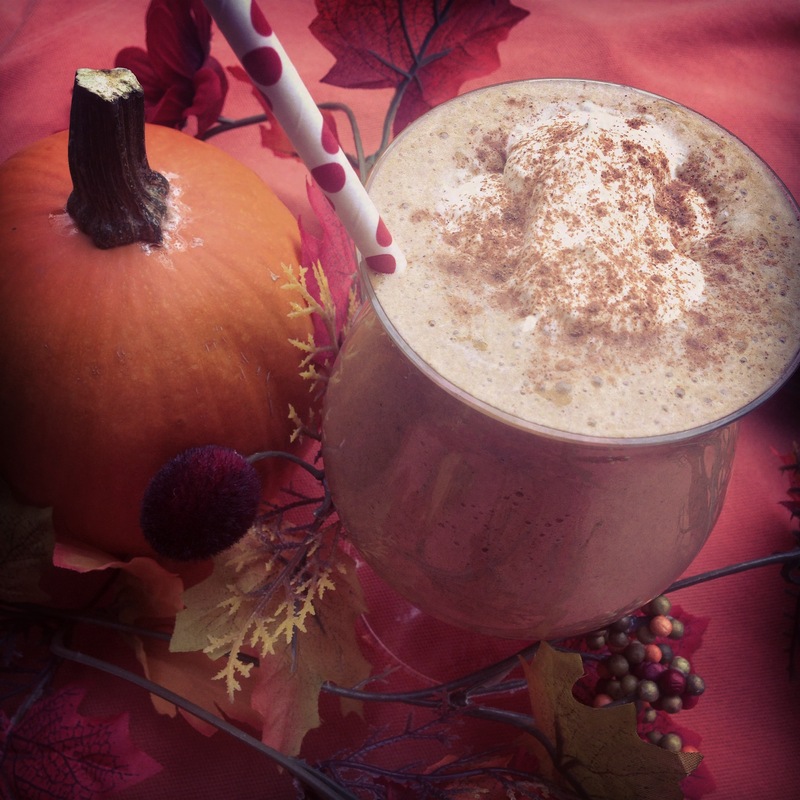 Have you jumped onto the commercial pumpkin spice latte bandwagon? If so, please jump back off. Do you even know what you get when you order a pumpkin spice latte? Caramel color level 4 (a coloring agent made with ammonia), no real pumpkin, non-organic milk, loadsssss of sugar (a grande has over 50 g of sugar, which is equal to 12.5 cubes of sugar), artificial preservatives, sulfites and high fructose corn syrup. Turnoff. FYI, the pumpkin spice craze has gone way too far. Did you know there now exists a black market for the syrup required to make the lattés? Theft of the syrup in Starbucks cafés is increasingly an issue and fake syrups are popping up all over eBay. Cray. If you are like me and are denying that summer has come to a screeching halt, you are not alone. There is help. This smoothie. It may help you lessen the blow and ease into the fall weather. Move aside, Starbucks pumpkin spice latté, your less chemical, more vibrancy-inducing match has arrived. Might I add that concocting this over the commercial PSL allows you to skip that patience-testing line-up? 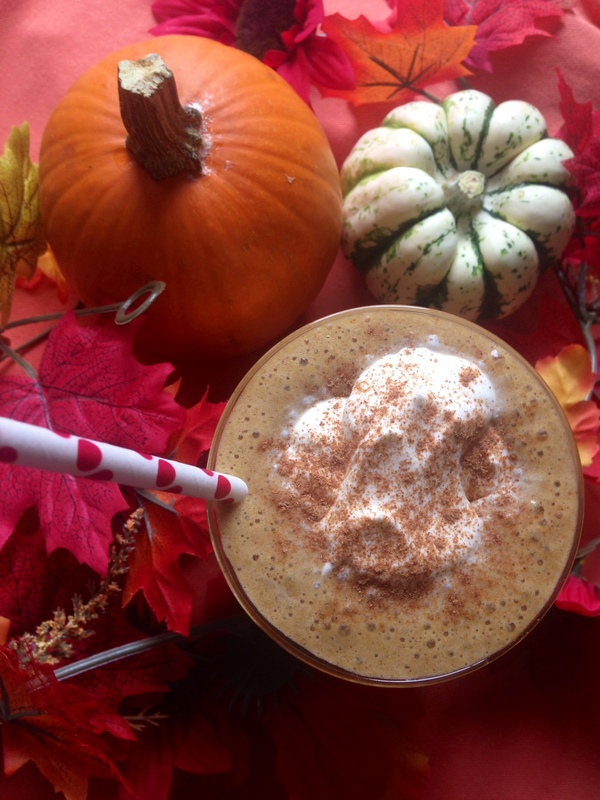 Can one overdose on this pumpkin-containing smoothie I share with you today? I do not know, but I’m willing to find out. This smoothie adds fiber, antioxidants, vitamin A and complex carbohydrates to your day. Where do you sign up? Nowhere, no sign-up-age even necessary 😉 . Moreover, this smoothie doesn’t even require a stunt double! Meaning? It is fully capable of acting as part of brekkie, as a snack and as a dessert. Pour into your 2 favourite glasses. Sprinkle with cinnamon and top with vegan whipped cream if you want the ultimate pig-out 🙂 . Until next time, allow these warming spices to spice up your life!